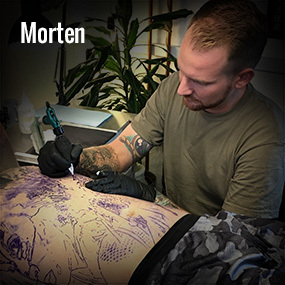 Lowkey Tattoo – Seriøse tatoveringer i hyggelige omgivelser. 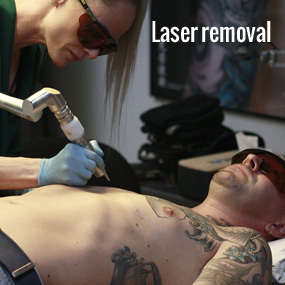 Welcome to Lowkey Tattoo, Svendborg, Fyn. 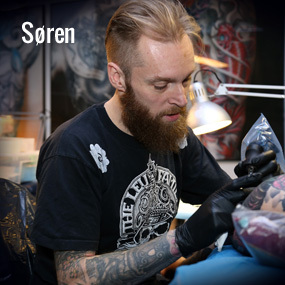 With 5 working artists we are ready to cater to most of the tattoo wishes of our customers. 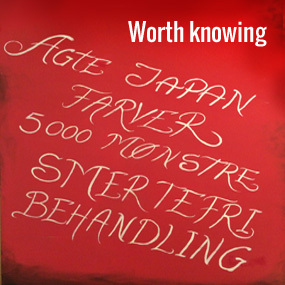 We are a team of dedicated artists with a serious approach to the craft and we strive to be among the best in the business, not only when it comes to the craftmanship and quality of our art, but also in customer consultation and custom designs.Søren Granhof Schjøtt, owner of Lowkey, Award winning artist, specializing in Oriental and Japanese.Jenny Pihl ended her apprenticeship in the summer of ’15, specializing in Realism and custom designs.Morten Madsen, most recent member of the team after 7 years in Odense, Realism and New School is his thing.Anja Altenburg, finished her apprenticeship in ’18 and has a coextensive career as a fine artist.As well as Brian Abrahamsen, as permanent guest artist when we are having trouble keeping up with demand.Come visit the most cozy studio in Denmark, nestled in the beautiful surroundings of southern Fyn. The coffee is good, the ambitions are high and the train and the freeway runs straight to the door.